A concise and up-to-date reference that details the essentials for setting up a modern clinical lab, selecting patients, safely performing the procedure and avoiding pitfalls that are commonly encountered. Over 95 photographs, specially created for this book, provide the reader with detailed examples of how each aspect of the procedure is performed in an understandable step by step format. 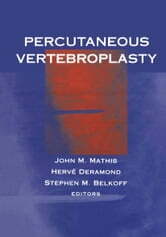 The authors are world-renowned pioneers in the field who have developed the basic science and clinical information relating to percutaneous vertebroplasty. 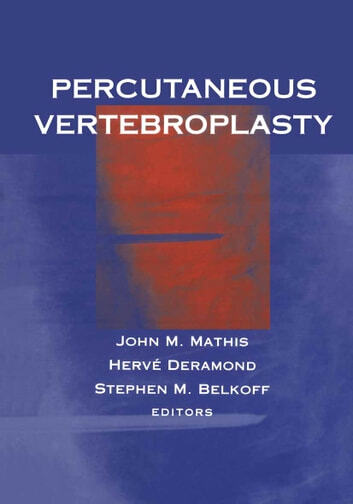 This rapidly proliferating procedure is used to treat the pain associated with compression fractures of the spine resulting from osteoporotic vertebral collapse or tumor destruction.